Detoxification is an alternative medicine and although it's clinically non-proved, it has great effects to your body and spirit. You can find different types of detoxing diets out there and each agrees that most food contaminated by various ingredients deemed unnecessary for human life, such as flavour enhancers, food colourings, pesticides and preservatives. Detox diets can involve consuming extremely limited foods or eliminating certain foods, such as fats, processed foods and irritants from the diet, or totally cutting out solid food (fasting). Detox diets are usually high in fiber. Proponents claim, that this will cause the body to burn accumulated stored fats, releasing fat-stored "toxins" into the blood, which can then be eliminated through the blood and through metabolism. Your body will be invoking its stored fat, so the result will be visible real soon. 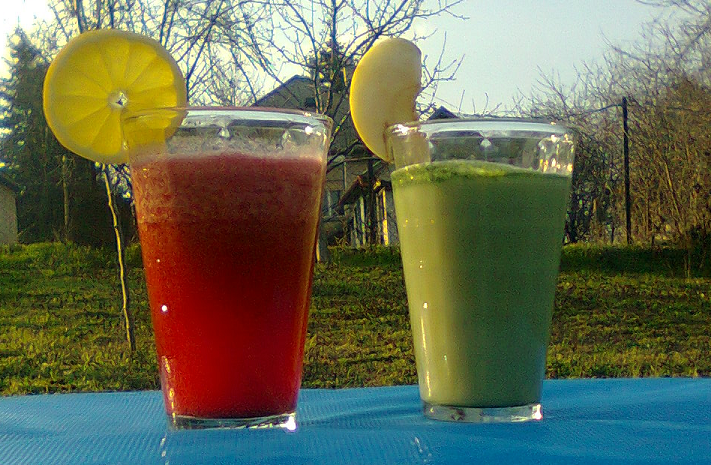 If you wish to have a fasting diet (after you consulted with your doctor and/or asked for a specialist's advice and supervision), we suggest you to do it, when you don't have to do any exhausting physical deeds: if you can afford it visit a SPA hotel that offers a full detoxing cure with meals, programs, advisors and calming environment for the spirit and spend your days there. If you cannot afford this, please take a week out from your work, stay at home, relax as much as possible, take walks in the local park and enjoy Nature. Concentrate on yourself, find balance and harmony, sleep longer or more times a day and try to avoid stress and everydays hassles as much as possible. The other detoxing diets, that are only eliminating certain types of solid food can be done beside working (yet you still must consult with your doctor and avoid too much physical work). - Fasting: based on water, herbal teas, fruit and vegetable juices, lean and bare plain soups. Fasting is labeled as "not the most practical or safest diet", however it's a popular way to clear your body and lose weight quickly. Fasting normally takes 3-5 days and after this, if you have to get back to "normal" eating and solid foods slowly and progessively, to not to cause a shock to your body. Please allow yourself 10-14 days to get back to the normal portions at each meal and please avoid junkfoods and foods that contain too much fat/sugar and unnecessary ingredients (mentioned above). - Soup diet: soup diet can be done as an alternative to fasting, or by replacing a meal or two with soup, along with lots of water, herbal teas, fruits and veggie juices. - Protein-fruits-veggies diet: only protein (meat, eggs, fish and low-fat meat substitutes), fruits and veggies allowed during the diet, along with lots of water, herbal teas, fruit/veggie juices and soups. 3) Drink a glass of milk to each meal (only 1 glass per meal, if you need more drinks to a meal, switch to other calcium-containing drinks or pure water). A milk diet helps to purify your liver and helps you to lose weight up to 20lbs.